"Our family of two adults and two little kids had a great sta..."
Have a question for Kitanoyado Mone Hostel? "Staff were friendly, hotel was clean in general." "Very clean rooms and hostel." "Our family of two adults and two little kids had a great stay for 5 nights for a ski trip." "Staff are friendly and helpful." Ideal for fun and relaxation, Kitanoyado Mone Hostel is located in the Furano area of Furano / Biei. Situated only 2km from the city center, guests are well located to enjoy the town's attractions and activities. A haven of rest and relaxation, the hotel will offer total renewal just steps away from the city's numerous attractions such as Garden of Wind, Furanonishi Hospital, Furano Wine House. 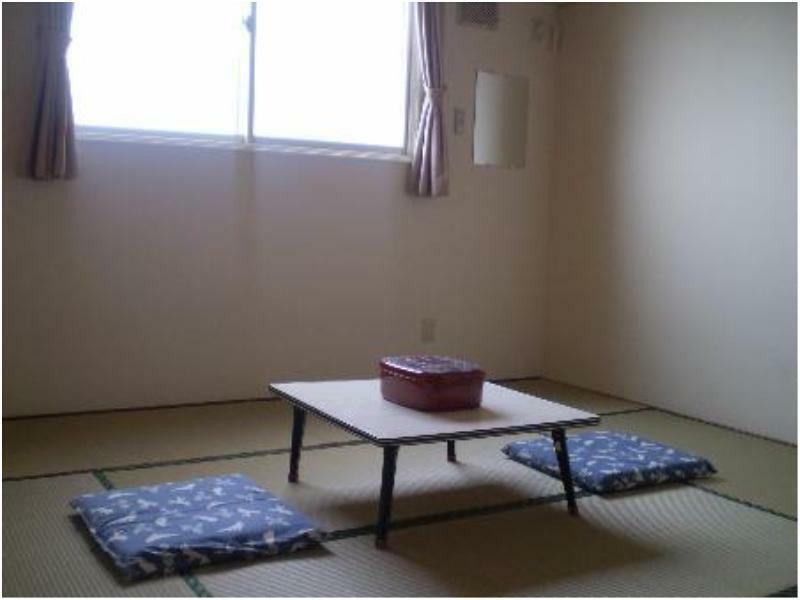 Kitanoyado Mone Hostel also offers many facilities to enrich your stay in Furano / Biei. To name a few of the hotel's facilities, there are car park, restaurant, vending machine, bicycle rental, smoking area. Experience high quality room facilities during your stay here. Some rooms include television LCD/plasma screen, air conditioning, heating, wake-up service, telephone, provided to help guests recharge after a long day. The hotel's hot tub, skiing are ideal places to relax and unwind after a busy day. Superb facilities and an excellent location make the Kitanoyado Mone Hostel the perfect base from which to enjoy your stay in Furano / Biei. "A really nice place with helpful staff." Only 1 hair dryer per bath. There is no better inexpensive accommodation in Kitanomine Furano. Mats on the floor and shared bathroom. Had a tatami room which was spacious but as smoking is allowed, there was cigarette smell lingering in the room which air freshener in the room couldn't remove entirely. Bathroom was shared and traditional jap sit down style. Separate toilets are available which are small but clean. Location is not a big problem if driving, there is free parking opp the hostel. Staff were friendly, hotel was clean in general. This is traditional Japanese style hostel with shared bath and restroom. The biggest downside was the strong cigarette smell lingering on your clothes. Superb location located just across the road from ski lift and gondola, friendly staffs, and best of all value for money. The room is very spacious compared to most rooms in Japan. Downside is the bedding is Japanese tatami so if u need a proper western bed then watch out for this. We had no problem sleeping on the tatami as it was very comfy, room is comfy too. We love it!! The owner and son is very very friendly and were willing to help out as much as they possibly could in all means. Also note the shared bath / onsen. We had no problems as most of the time I'm by myself in the onsen. There is an occasion where a lady walked into the dressing area outside the onsen, and she pretty much just waited there until I get out of the onsen before she gets in so no embarrassing moment if u r not too comfy with seeing other naked women/men. Note that onsen are separate to male only and female only. A really nice place with helpful staff. The only problem I could find were the pillows. I drove there on my own, so location is not a problem for me, but if someone has to walk from the JR Furano Station, that would not be easy. Besides the distance from JR station, one would also have to conquer the slope in order to get to the hostel. The room is quite spacious, the refrigerator, the kettle, etc. are in the common area. The bathroom is in the basement. Although the facility says it's a hostel, I think it fits the description as a hotel. For what I'm paying for, you couldn't expect more. Our family of two adults and two little kids had a great stay for 5 nights for a ski trip. Hostel is right across the street from the lift. Very clean rooms and hostel. Good dinners, breakfast ok but only if you like traditional Japanese breakfast. 1 staff speaks English, others do not but everyone is very helpful. Can't wait to go back. This small guesthouse is amazingly clean and it is perfectly located right across from the ski lift. They serve great meals and are very helpful. The ski shop attached offers good discounts on rentals and one of the staff speaks good English. It is interesting in experiencing some simple hotel like this one. The location is good for skiing, however I went there during summer to see the lavender, thus the location does not have advantage. But since I drive, it is not an issue. Hotel staff is very nice, breakfast is purely Japanese style and we liked very much. The only issue is the women's bathroom area is not very clean. The room has some weird. Was surprised with the towel rental charges. Shower area was ok but they have curfew on shower time. (Another surprise). The lady at the reception was unfriendly. The guy was ok and helped me with me lugguage. Overall ok to stay if you find no other available location or if you have limited budget. There isn't any non smoking room so one needs to get used to the smell of smoke lingering in the room. I could not get another accommodation hence I wound up in this. Good to plan your July trip to furano early to avoid staying in a place that you would like to avoid. Amazing! It is so different from other hotels. We reserved a Japanese tatami room, which is very big and there are Japanese sleeping clothing aside. the underground bathroom is very big and clean, serving constant temperature bathtub and showers. The outside views are so beautiful. Location is not near the Furano station but there is a bus stop just outside the hotel. the room is big but got bit smelly.